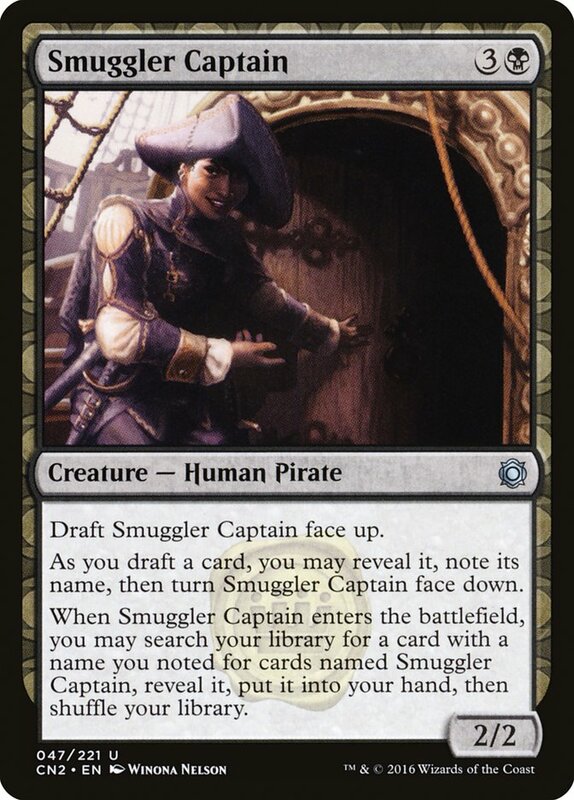 Pirates emerged as a major faction in their own right with the debut of Ixalan, but the creature type has a history, albeit a spotty one, stretching all the way back to the start of the game. 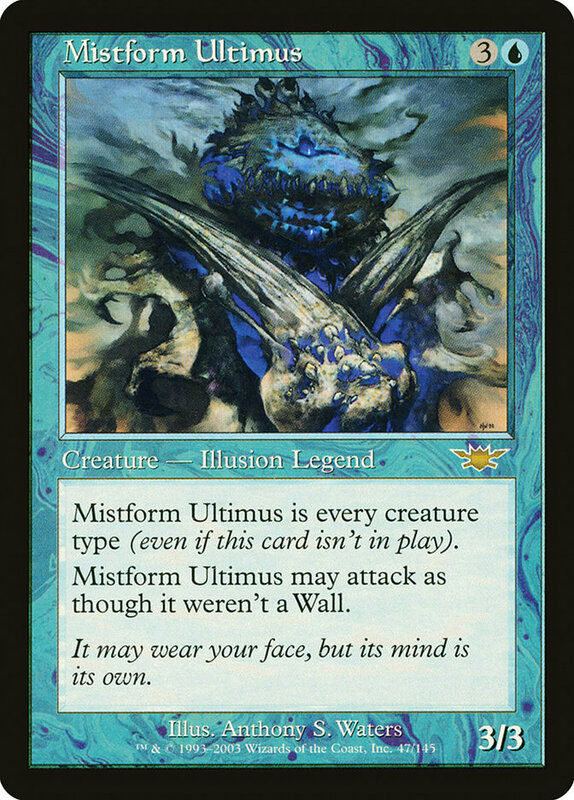 Limited Edition Alpha was extremely flavor-driven, and creature types were mostly a matter of "what sounded good" rather than any sort of mechanical consideration. 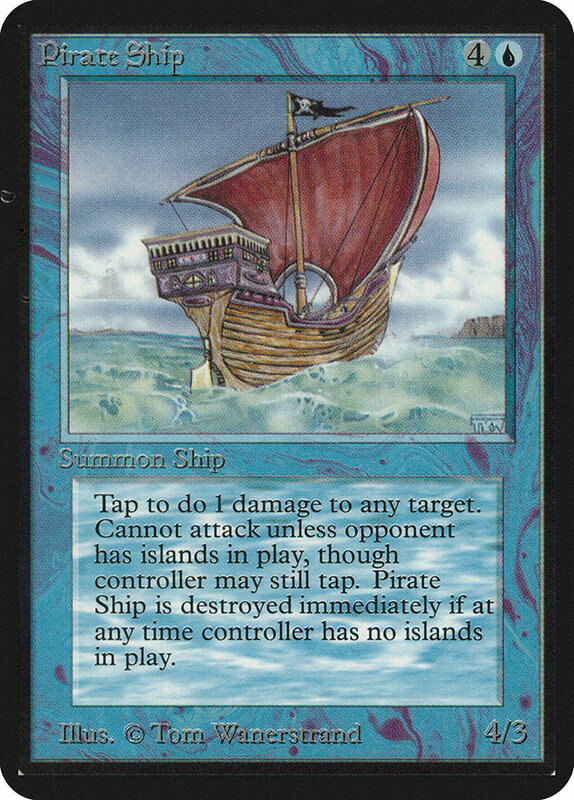 This led to oddities like "Summon Ship" rather than "Summon Pirate" in the type line, though the Time Spiral "Timeshifted" version printed in 2006 revised the creature types to "Human Pirate." The next two Pirates of Magic weren't originally printed as Pirates, either. 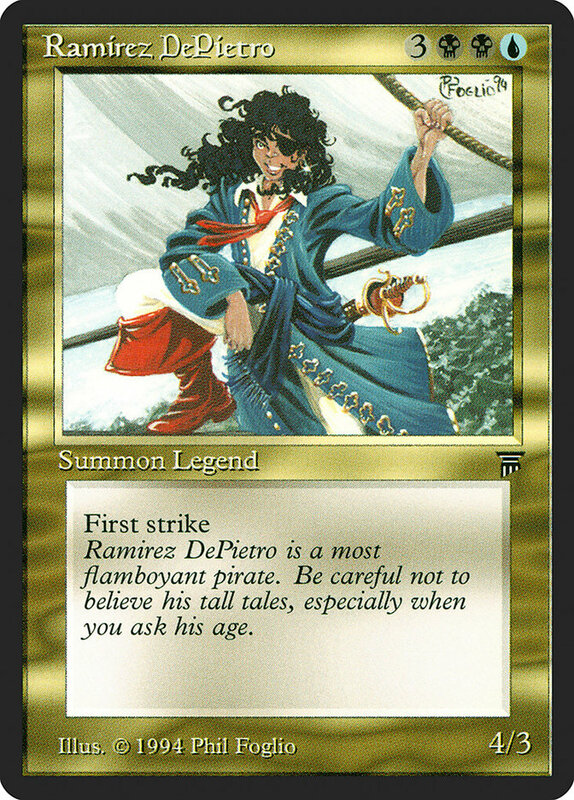 Ramirez DePietro, printed in Legends and later a beloved Commander commander, had only the creature type "Legend," in accordance with practice at the time, though the Pirate flavor is obvious. 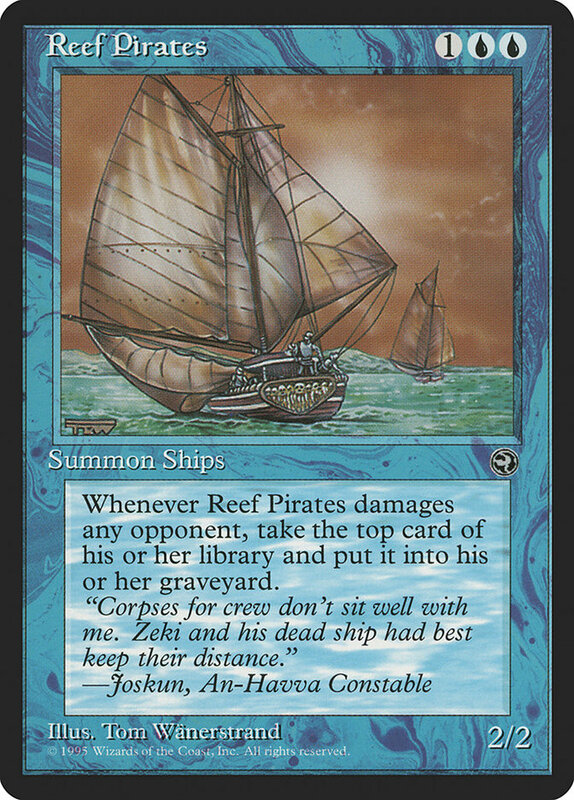 Reef Pirates from Homelands was printed as a Ship, like Pirate Ship from before. 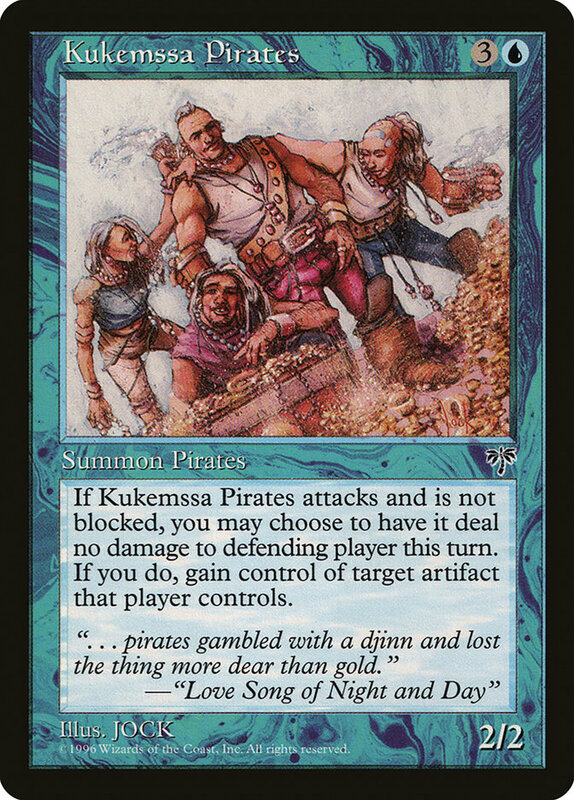 It wasn't until Mirage, when creature types became more standardized and regulated, that Kukemssa Pirates was printed as "Summon Pirates." 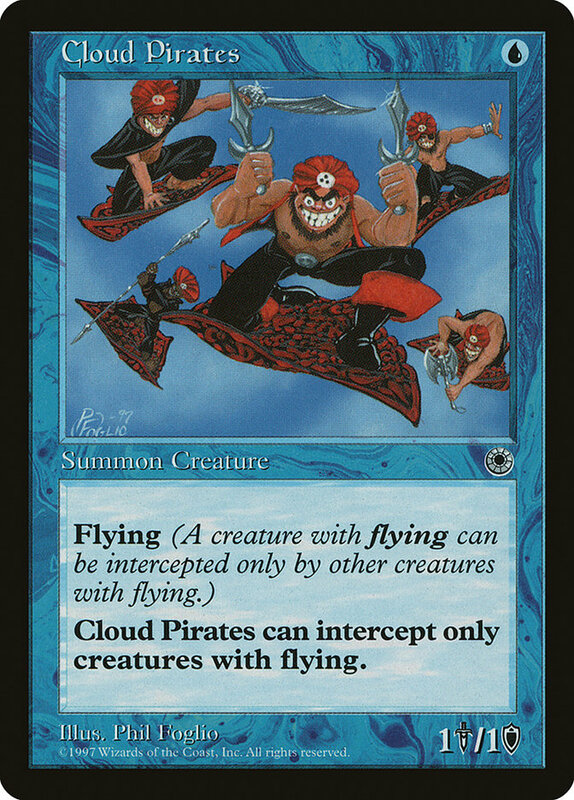 The first Portal set from 1997 didn't use creature types (ostensibly to simplify things for new players, though the same set made such questionable choices as replacing the term "block" with "intercept"), leaving Cloud Pirates without its subtype due at first. 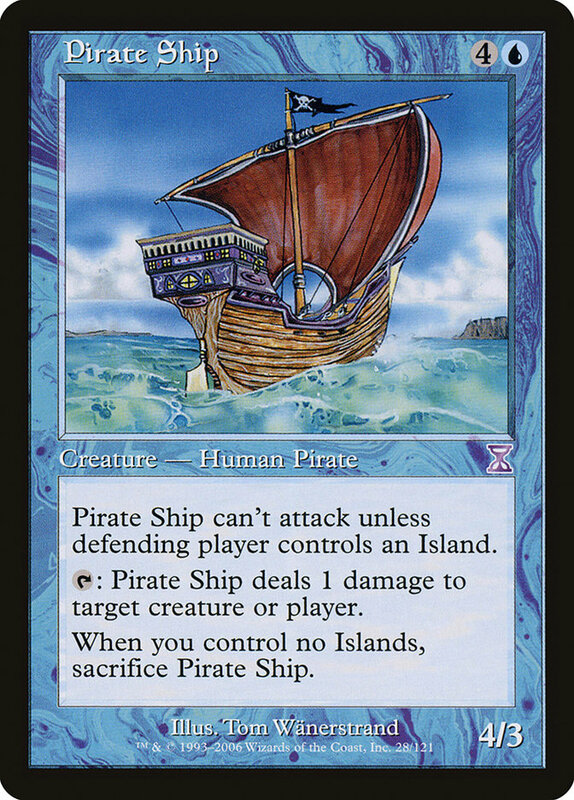 1998's Portal Second Age moved closer to regular Magic of the time and introduced the first proper Pirate faction. 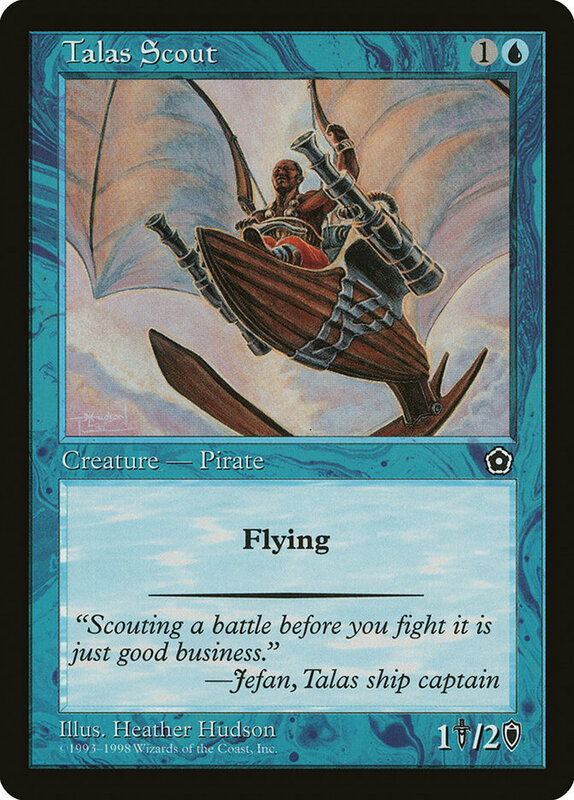 The Talas, a blue-aligned region on the Dominarian island of Caliman, saw six cards beginning with "Talas" either printed with or eventually given the Pirate designation. Two, Talas Scout and Talas Warrior, were printed as Pirates (and later also designated as a Scout and Warrior, respectively). 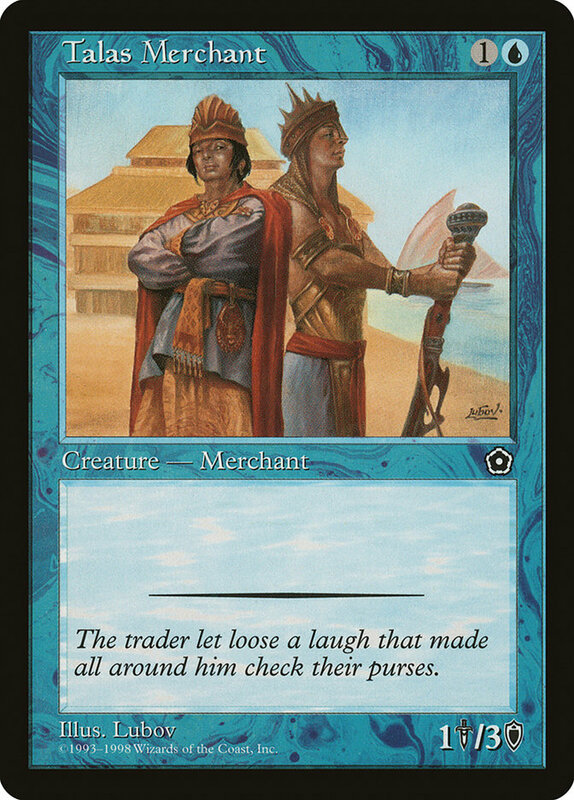 The creature type "Merchant" (as seen on Talas Explorer and Talas Merchant) was changed to Pirate with the Grand Creature Type Update. Back in "Expert"-level Magic, as the terms of the time went, Mercadian Masques saw the first faction of Pirates all labeled as such. 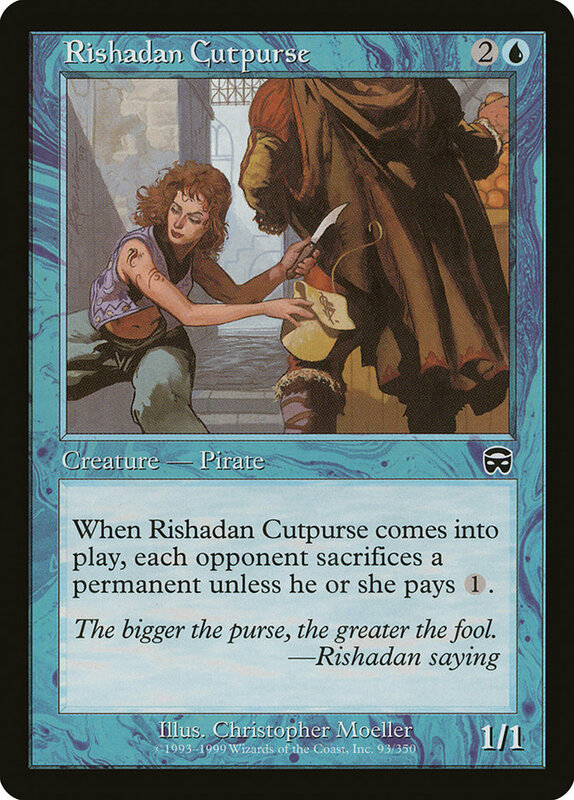 The Pirate-infested port city of Rishada was inextricably linked to the sea, and where there is trade, there will be those who try to plunder it. 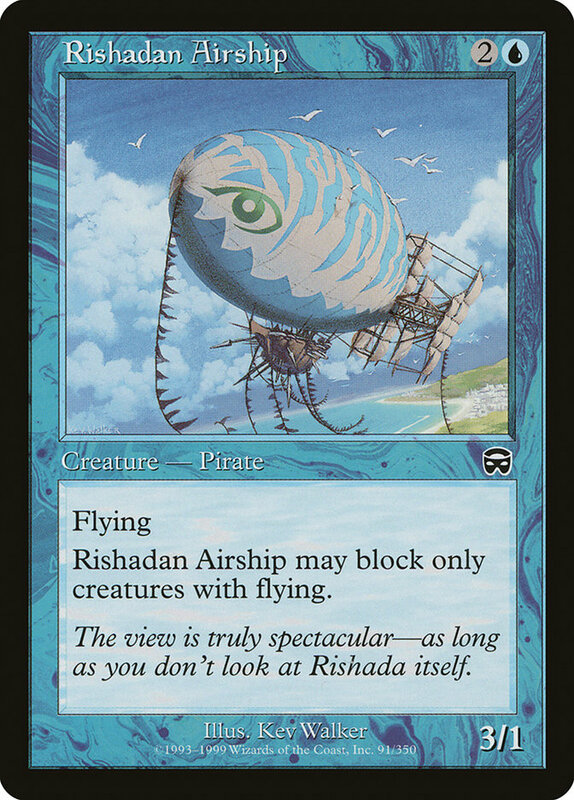 Four Pirates were printed for Mercadian Masques in all, including cards like Rishadan Airship that would have been templated as "Ship" earlier on. 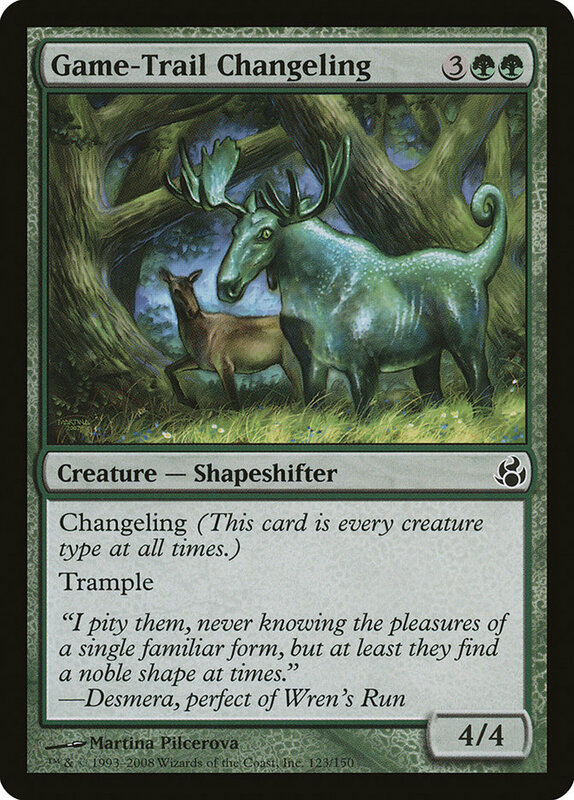 Wizards of the Coast frequently prints "plants," cards meant to work with themes in later sets. 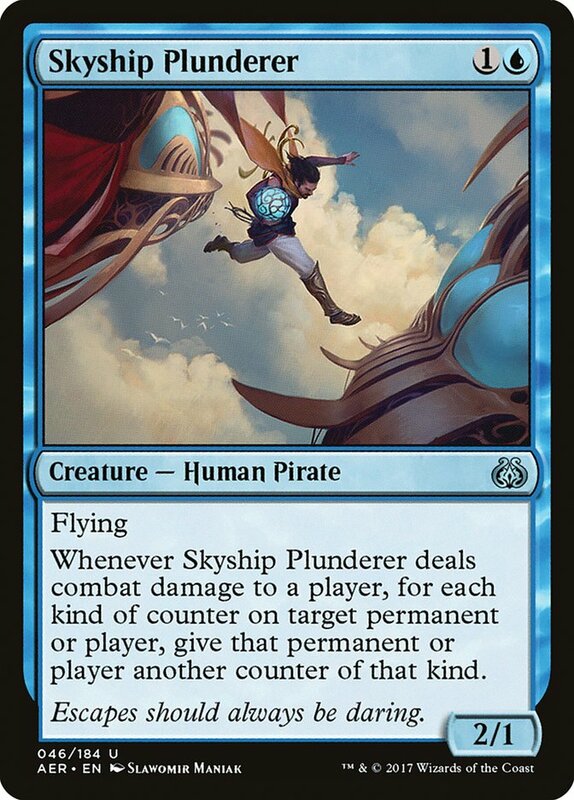 While the action on Kaladesh was thoroughly landlocked, its skyships opened up an opportunity to print Pirates of the sky. 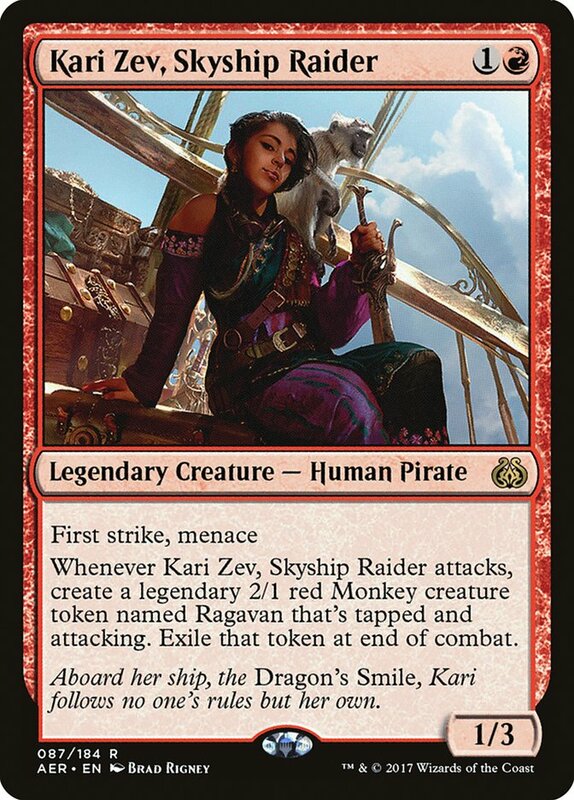 While Skyship Plunderer kept with the tradition of blue Pirates, Kari Zev, Skyship Raider added red to the color possibilities, emphasizing their freedom from government control. 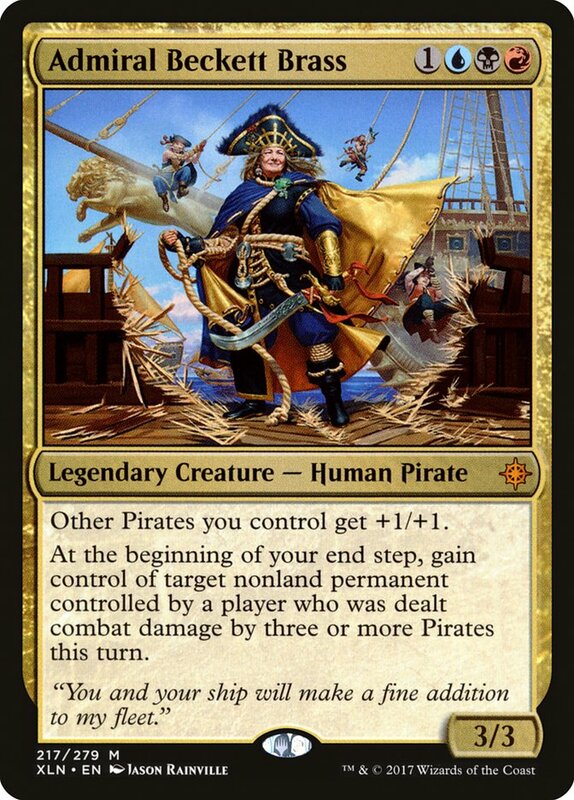 This idea would have great influence on the Brazen Coalition, the Pirate faction on the plane of Ixalan, not only in its storyline but in its color identity: red for independence from the dispossessing empire of Torrezon, black for the amorality of piracy, and blue for the sea.